For now, mainly the images I could find. More comment to be added. Some images are borrowed from www.vintage-computer.com or elsewhere. 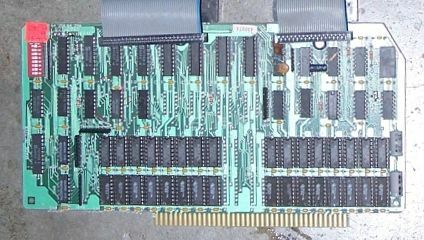 MEMORY BOARD 32 or 64 kByte card. 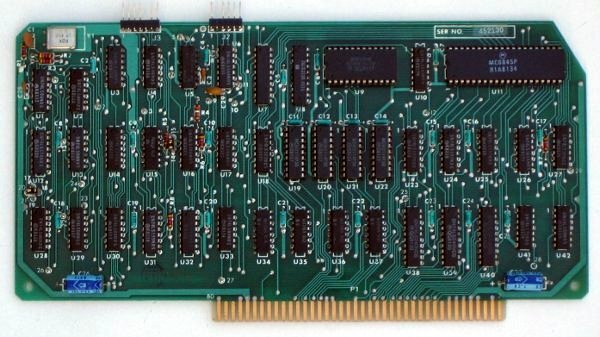 The upgrade to 64kByte for a 32 kByte system (half populated card) was sold as 26-4105 (adding another half populated card). See the Model II page for jumper information for this card. 8709053, REV B, ©1979. RS No. 26-4105. REV B Note the small satellite board, also present on rev A. 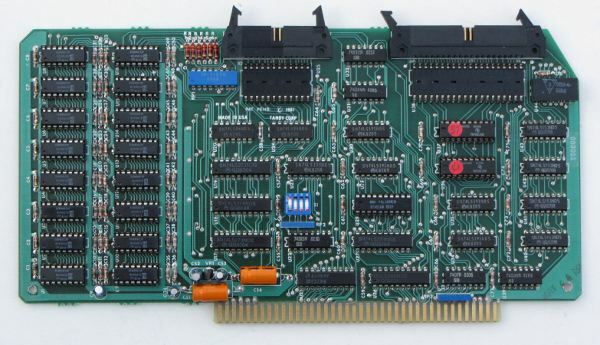 This card needs the loopback plug if no Disk System is connected. REV C This card needs the loopback plug if no Disk System is connected. 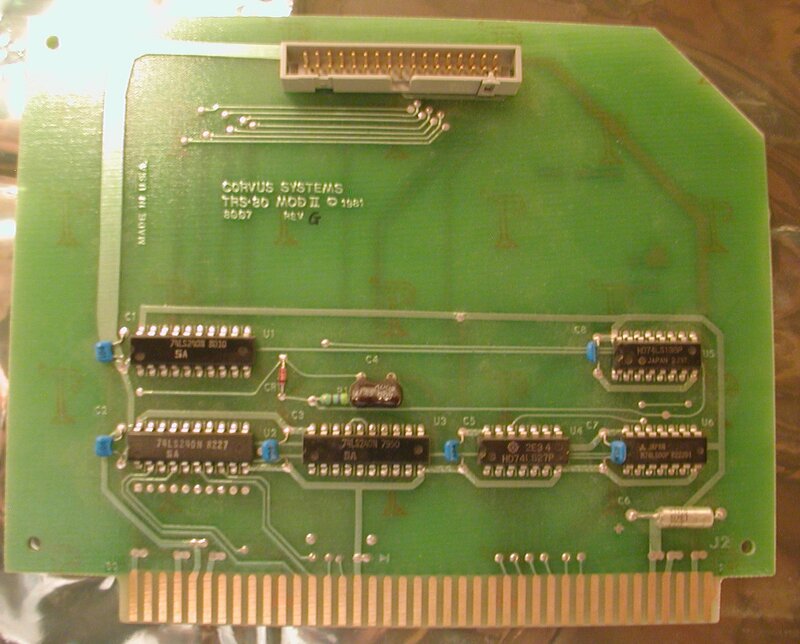 "Late Design" This board has separate connectors and termination for the internal disk drive (J0) and the Disk Station (P1), making the loopback plug unneeded. Two 34 pin connectors (J1 and J2) are in preparation for 5 1/4" drives and should work with little modification. Tandy never deployed 5 1/4" drives for the M II line. M12 VIDEO KEYBOARD INTERFACE This is the only card in the Model 12. It might also be found in the 16B and 6000 card cage. Graphics Card This card is connected with two flatcables to the Video Keyboard Interface. It is actually just a graphics extension to the standard video. 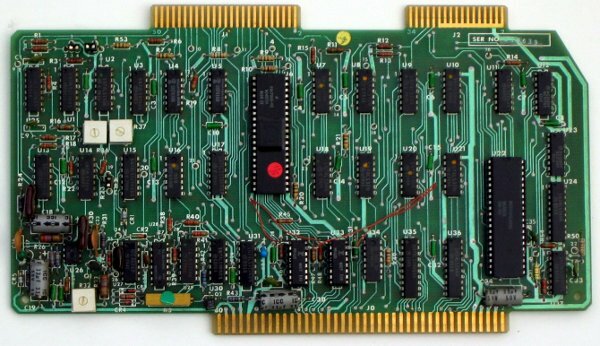 Both the 6845 and the character ROM of the Video Keyboard Interface are moved to the Graphics Card and replaced by flatcables. The video signal with the graphics is still emitted from the VKI. Type #1 Hard Disk Interface This is the old style external hard drive controller. Works with the 8MB drives only. 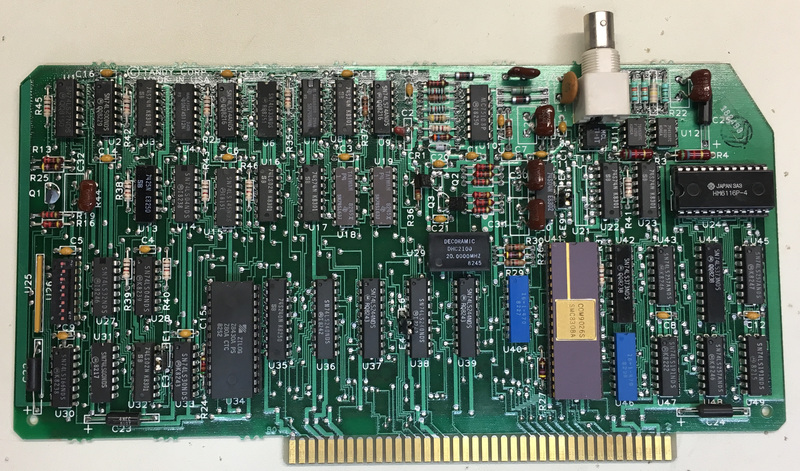 The interface is a modified WD1002HD0 one, adding an address line for the Tandy specific Disk present and write protect registers. 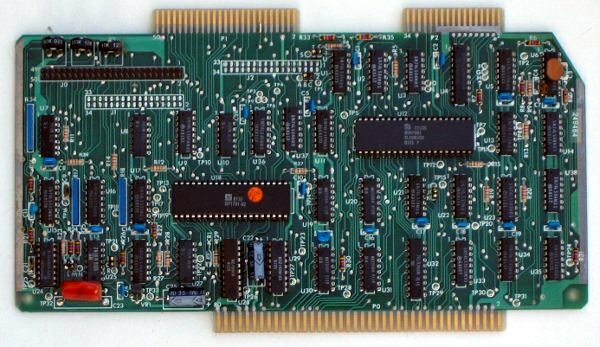 This board contained the I/O-port address decoding for the C0h-CFh region, lacking on the newer interface, where it was integrated in the controller. 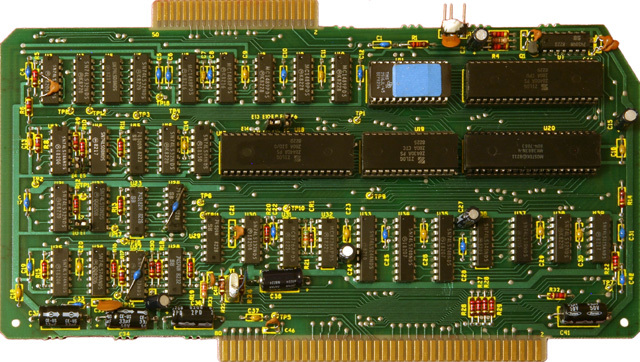 Type #2 Hard Disk Interface The interface to the controller is actually a Model III or 4 I/O bus. The 16 kByte RAM was still there, as TRSDOS II needed at least 96 kByte of RAM. 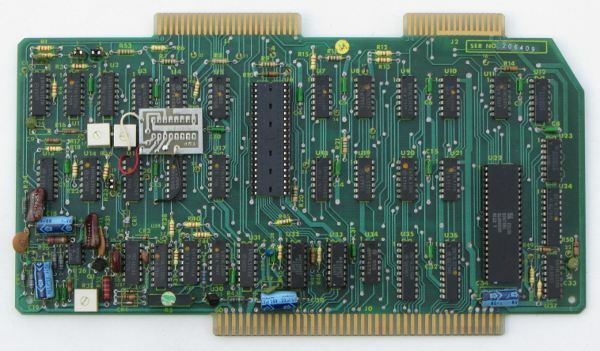 Single ST412 Interface/controller #4 This is a single board, dual hard disk variant of the hard disk interface and controller boards. 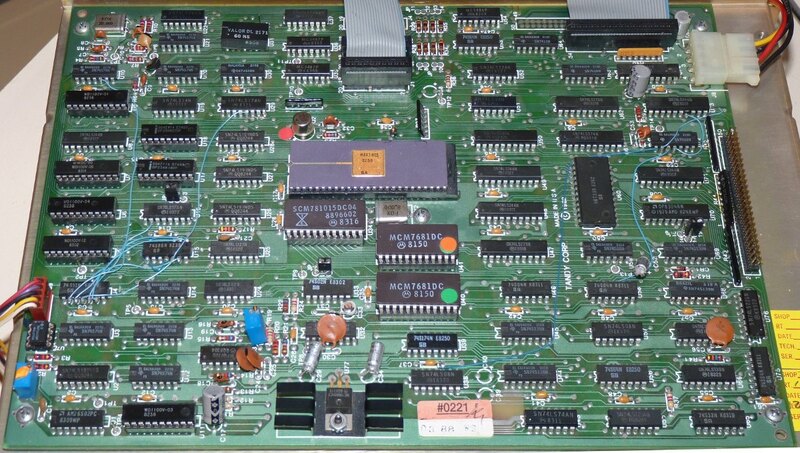 It is used for the internal hard disk in the Model 16b and 6000. 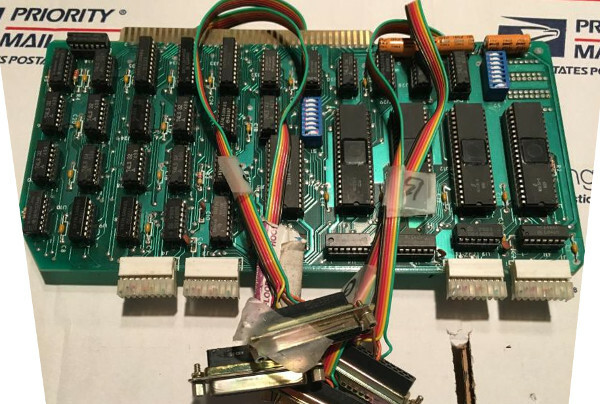 It contains the Z80-CTC and 16 kByte RAM (static this time) of the old interface and the WD1100 and WD1010 of the controller. It was intended to be compatible with the previous WD1010 controller. On Frank Durda's overview this is controller #4. Corvus card An interface to a Corvus system, probably hard disk controller. Borrowed this image from http://www.vintagecomputer.net/tandy/. MC68000 CPU Part of the "Model 16 Enhancement Option" 26-6010. 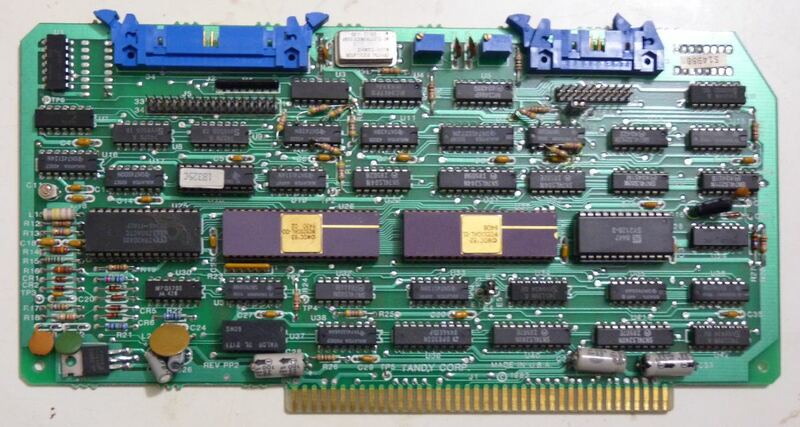 Runs at 6 MHz. 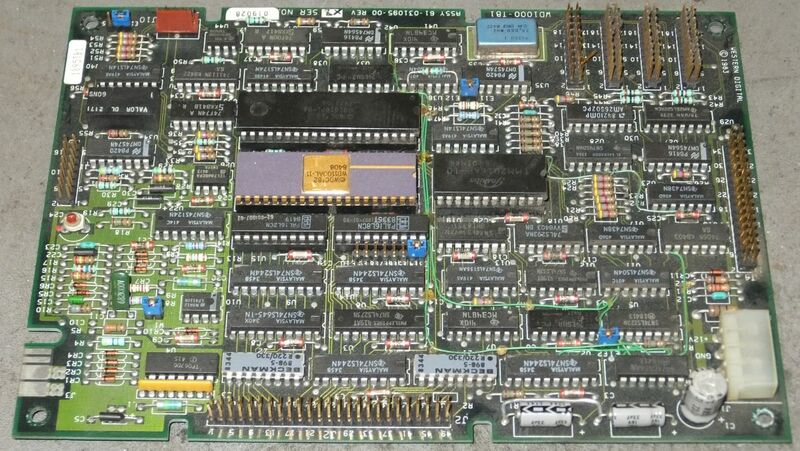 New MC68000 CPU The improved 68000 CPU card for the Tandy 6000. 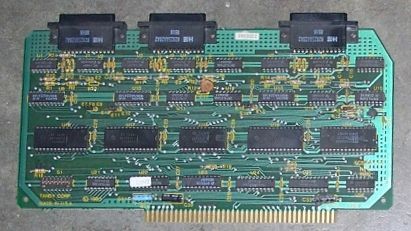 Runs at 8 MHz. 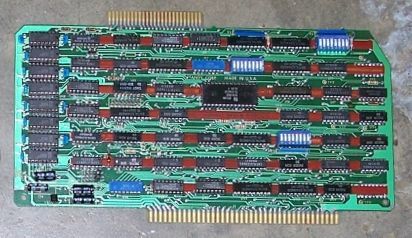 MC68000 Memory Part of the "Model 16 Enhancement Option" sold as 26-6010. 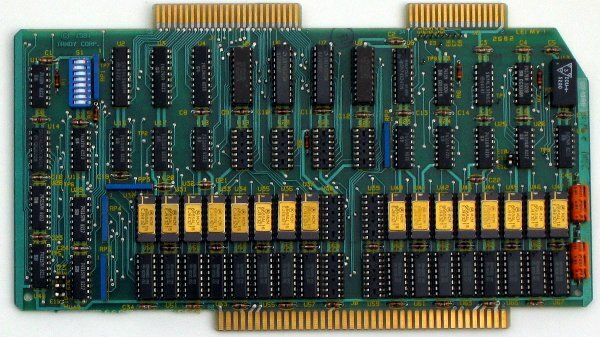 128 or 256 kByte RAM. 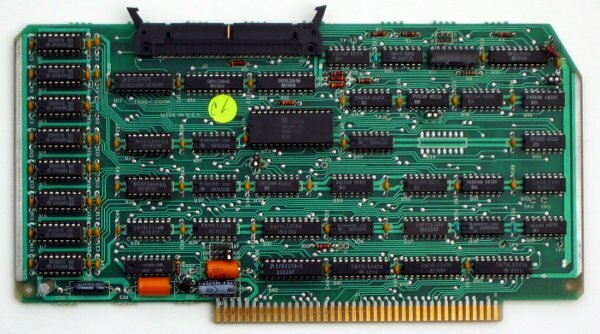 MC68000 Memory The improved 68000 memory card for the Tandy 6000. RS No. 26-6011. The RAM is 26-6012. 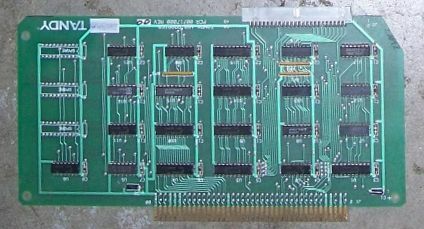 MC68000 Memory This might work only with the newer 68k CPU. Probably found only in the 6000. 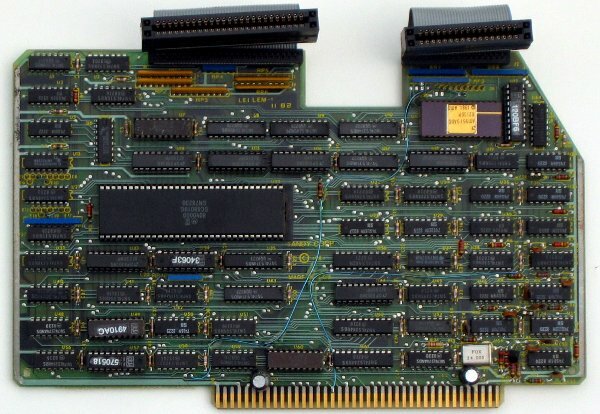 The board might be the same as the new 128 - 256 kByte RAM card, but configured for larger RAM chips. RS No. 26-6015, The RAM is 26-6016. 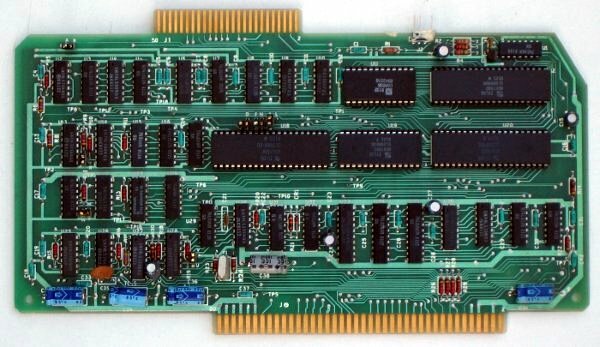 The hard disk interface cards shown above can only be connected to certain hard disk controller cards. 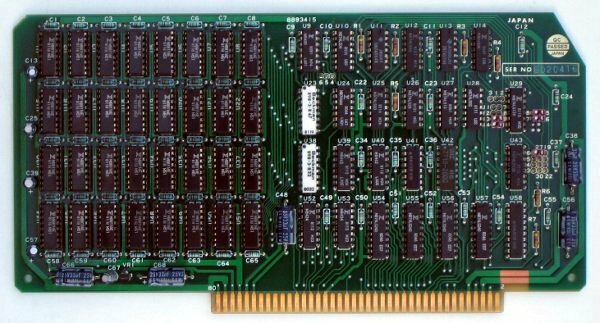 8x300 based hard disk controller #1 This is the original, 512 byte sector only hard disk controller for the Model II line based on the 8x300. The size is 29 x 21.5 cm. 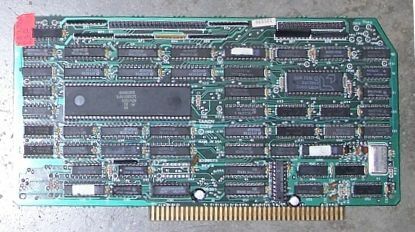 This board had the standard WD1010 registers at I/O port C8h-CFh. C0h and C1h were used for write protect and drive present registers. 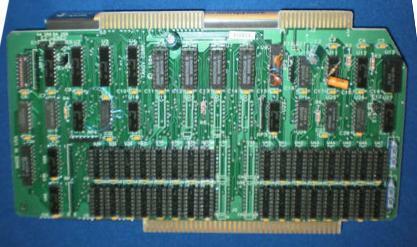 8x300 based hard disk controller #2 This is the second 256 and 512 byte sector hard disk controller used for the Model III and 4 line based on the 8x300. The size is 29 x 21.5 cm. WD1010 based hard disk controller #3 Smaller than the #2 controller, 20.5cm x 14.5cm, and based on the WD1010 and support logic. 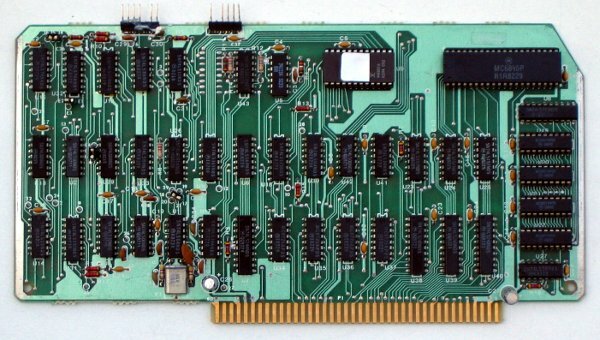 Used in the TRS-80 15 Meg disk system, cat. no. 26-4155. 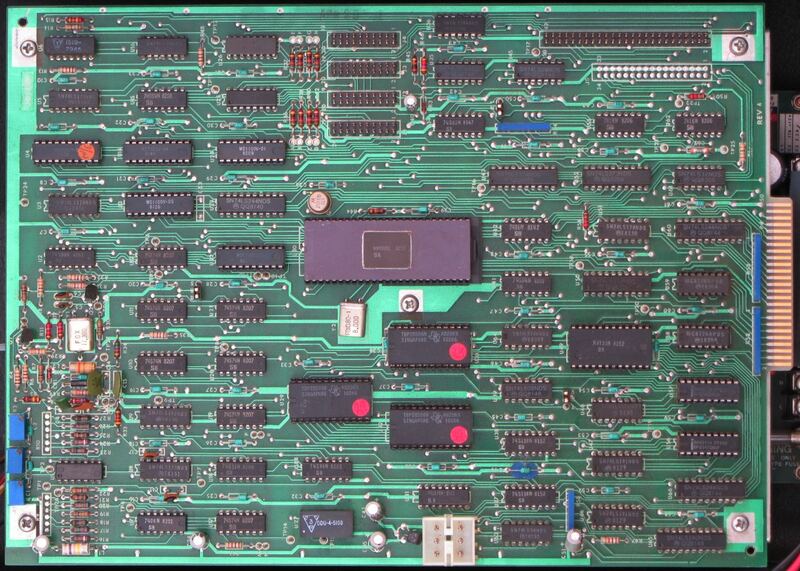 Very similar to the WD1002 board (-05 or -HD0), but this included the Tandy specific write protect and disk present registers. The "TB1" could stand for "Tandy Batch 1". Thanks to Ian Mavric for the image.